While our music nourishes your soul, feed your body with feast-worthy food from authentic Vietnamese cuisine to cornmeal fried catfish, pulled pork to báhn mi. We support our local restaurants, organic farmers, and food truck foodies to keep festival-goers fueled for the next dance! With the dizzying array of music, the tremendous variety of food, and the diverse creations from the Art Barn, it's only fitting that our craft vendors be equally inspired. From clothing and jewelry to musical instruments and body products, there is something for everyone. So make an afternoon of it! Support a true artisan by purchasing their wonderful handmade products for yourself, your family, and your friends. You'll not only come away with some great treasures, but also with the satisfaction of supporting creative professionals. 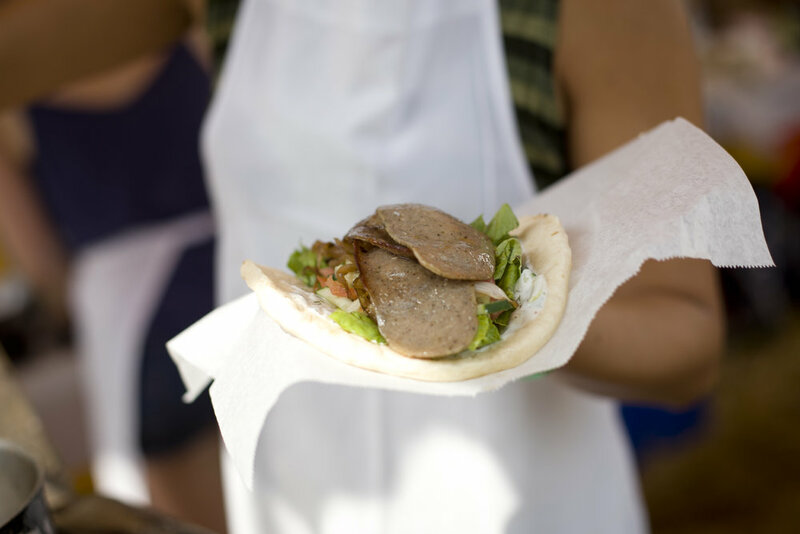 Interested in being a food or craft vendor at the festival? Check out the Vendor Application page.